Gabe Strand will return once again to call squares at Quimper Grange. Gabe is a founding member of the Seattle Subversive Square Dance Society, playing a major role in the resurgence of traditional square dancing in Seattle area. Gabe will be calling squares to please dancers of all ages and experience levels. The Geezertones, with Bertram Levy on fiddle, will prove, once and for all, that musical drive does not diminish with age. Bertram has been in the traditional music scene for decades, and was one of the original founders of the Festival of American Fiddle Tunes. In addition to fiddle, Bertram will be playing banjo and concertina. Bertram will be joined by Kristin Smith on fiddle, Russ Clark on bass, and Dave Thielk on guitar. Dancers can expect southern traditional tunes played with contemporary zeal. 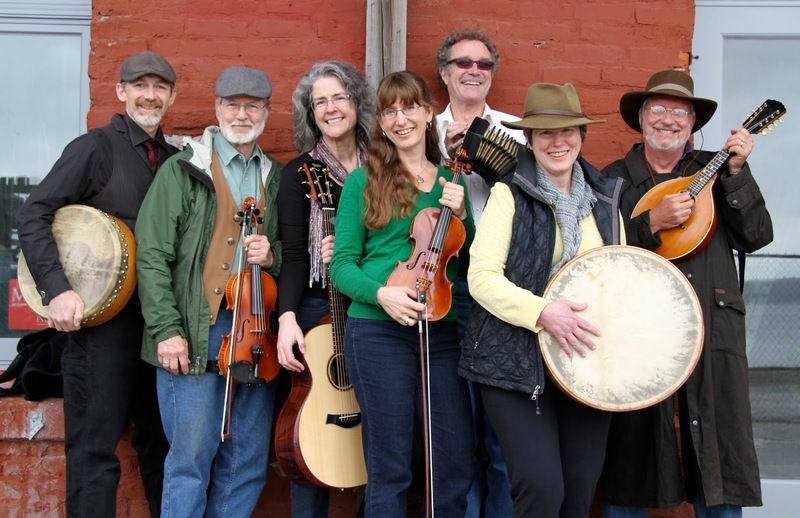 And for contra dancing . . . . this month will enjoy local caller, Jo Yount with music from the Wharf Rats . Jo Yount has been calling for . . . . . decades right here in Port Townsend. 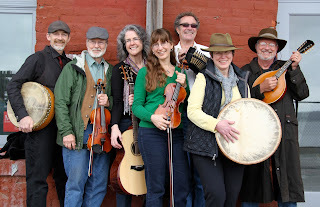 The Wharf Rats will be playing Irish, and more Irish, with Kristin Wade and Dennis Dignan on fiddle and lots of back up! Quite a nefarious lot!